I am late to the Fitzpatrick signing party, and like most fashionably late patrons, I’m a few beers deep and not afraid to share my opinions. 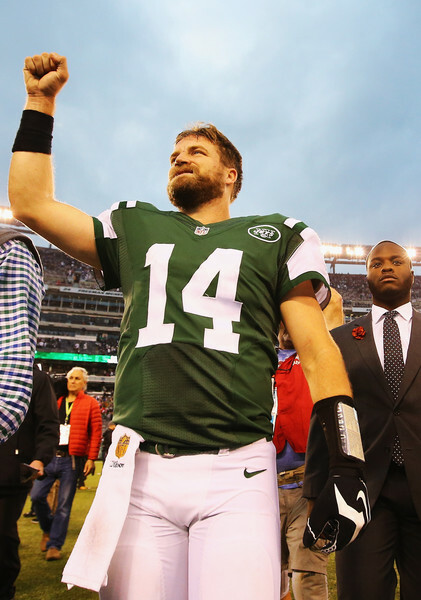 As the dust has finally settled from Ryan Fitzpatrick’s penning a one year, $12 million deal, many media outlets have felt that the re-signing of Fitzpatrick was a “win-win situation” for both sides. Now, I either have an incredible misunderstanding of this “win-win” idiom or everyone else needs stop sipping Firemen Ed’s Green Kool-Aid. The “win-win” being portrayed is that Fitzpatrick should be an above average QB this year who won’t cost the Jets an arm and a leg, who therefore can go shopping for a new QB, one for the future, next season. Meanwhile, hanging in the wings is poor ol’ Geno Smith. I think the Jets are too reliant on a Plan B they are afraid to commit to a Plan A. Geno Smith is either your QB at this point or needs to be traded/cut. He is a distraction that will be detrimental to the psyche of this team for the weeks to come. This is prototypical Jets doing almost cliché Jet things at this point. The Jets have been plagued with a perpetual QB controversy season after season for seemingly the past 20 years. This year is no different. This is the biggest Jets’ problem. In a league that is progressively becoming more and more reliant on the QB, they have yet to find their guy behind center. A QB controversy may create great material for Sports Radio, but it is nothing but a nuisance for a franchise to deal with. Controversies like this will always bring questions that the coaches and players will need to address after every loss, a dark cloud always hovering above. This does not even account for the trust issues between Fitzpatrick, Geno and the organization that inevitably rises to the surface. Fitzpatrick is expected to have a great year just like last year because he is motivated to perform and increase his stock before heading into free-agency again after the season. But was last season really that good? I decided to do some fact checking on Mr. Fitzpatrick’s statistics last year and came across some interesting findings. Here are Fitzpatrick’s statistics or “Fitztististics” (patent pending) and they begin to demonstrate why the front-office had their reservations about a long term contract. Numbers don’t lie, and even in a career year Fitzpatrick was outplayed by the majority of quarterbacks in many of the main categories. Think about what the Jets are; a ground and pound offense that eats up clock and puts long drives together. This is coupled with a swarming Defense that intimidates opposing offenses. Their defense looks premiere this year, however it looks as though the Jets are looking to leave that identity of their old ‘ground and pound’ offense with their new coaching staff. The Jets were bottom feeders in rushing attempts last season and had one of the lowest yards per carry in the entire NFL. The addition of Matt Forte may change these numbers but it is looking as if Fitzpatrick will be taking on a large workload throwing 40+ times per game. This game-plan could very well be detrimental to the Jets’ success this year as Fitzy is no Tom Brady or Aaron Rodgers who should be throwing that many passes. My advice to the Jets would be to watch the Super Bowl last year over and over again and play exactly how the Broncos approached that game. Peyton Manning went a mere 13-23 passing as Denver did not rely on Peyton to win them the game. The Jets will be successful if they don’t let Fitzpatrick try and take over games and become a gunslinger. Gang Green have put enough weapons around Fitz where he all he should have to do is hit the open man and keep marching up the field ten yards at a time. 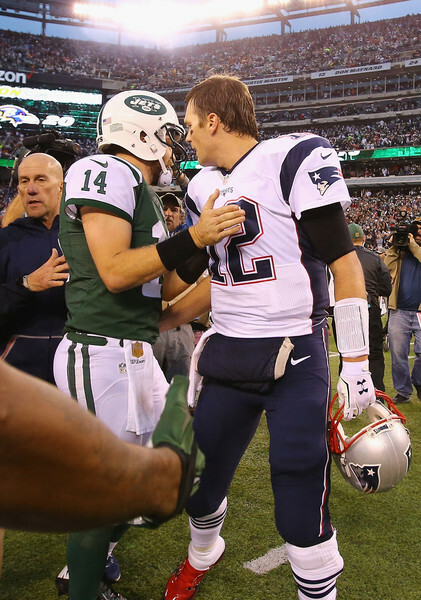 If all goes well and Fitzpatrick makes his throws and wins 11 games next year, Jets’ fans will be thrilled. Meanwhile, I’ll already be looking forward to yet another year of QB controversy next season.